The crisis inside NBC News over Brian Williams' puffed-up stories was made worse by the anchorman's denial and his strained relationship with executives in charge of the network, according to a new probe in Vanity Fair magazine. As the crisis over Williams' exaggerated war stories unfolded, network executives were frustrated by Williams' "inability to explain himself," the story says. The anchor "appeared shell-shocked" when the scandal emerged, rendering him unable to respond effectively. In February, amid the series of embarrassing revelations, Williams was suspended without pay for six months. His "NBC Nightly News" is now being anchored by Lester Holt. It is unclear whether NBC will let Williams return at the end of the suspension period. At issue was Williams' involvement on an Iraq War mission in 2003. Over the years, his recounting of the mission turned more dramatic, to the point he was saying that an RPG had struck the helicopter he was aboard. In fact, that happened to a different helicopter, not the one Williams was on. The Vanity Fair story, authored by Bryan Burrough, says NBC's internal fact-checking investigation of Williams is ongoing. It has been led by Richard Esposito, the head of investigations for NBC News. "People who have spoken to Esposito say his group has compiled a number of other incidents that, taken as a whole, paint a portrait of Williams as a man who has consistently burnished his stories," Burrough writes. The magazine also addresses the Williams scandal in editor Graydon Carter's monthly letter to readers. He concludes that Williams' "regrettable self-immolation" should not end his broadcasting career. "Taken all together, he would be an enormous asset anywhere," Carter writes. "And if NBC is smart, once Williams's time in journalism purgatory is up, the network will find a big chair for him and tether him to it for a good long while." Carter's commentary and Burrough's reporting were both published online on Tuesday, the second day on the job for the new chair of NBC News and MSNBC, Andy Lack. Williams' fate rests with Lack and the man who just put him in charge, NBCUniversal CEO Steve Burke. Burke is described in the story as a competent executive who has improved NBCUniversal's standing in many areas, but has struggled to manage the network's news division. "Even some of Burke's defenders admit he has only himself to blame for the decline of NBC News," Burrough writes. The author zeroes in on Burke's 2012 choice to name Pat Fili-Krushel the chair of NBC News, MSNBC and CNBC, despite the fact that she had "virtually no experience in journalism." Fili-Krushel has become "the scandal's second victim," Burrough writes, now that Lack has taken over. Lack has decades of experience in journalism. He previously ran NBC News between 1993 and 2001. Burrough's story, which relies heavily on anonymous sources, adds new details about what happened inside NBC in the key hours leading up to Williams' initial — and inadequate — apologies for exaggerating the Iraq story. Williams told an exaggerated version of the story on "NBC Nightly News" in late January, as part of a tribute to a military veteran who had been with him on the mission. Fili-Krushel's hand-picked deputy, NBC News president Deborah Turness, noticed Williams' story "and liked it, terming it 'very sweet,' " according to the story. "What she liked even more, she told one listener, was its performance once it was posted to Facebook, which she called 'extremely good.' "
Indeed, Williams' tribute to the veteran was widely shared on Facebook. But that's also where several vets posted comments saying that Williams had falsified parts of the tale. It is unclear when Williams first saw these comments. But according to the story, whenever he found out, "he did not tell Turness or Pat Fili, even though he and Fili had lunch the following Tuesday." The same day Williams and Fili-Krushel had lunch, February 3, Stars & Stripes newspaper reporter Travis Tritten interviewed some of the soldiers on the mission and prepared a story about Williams' misstatements. On February 4, Tritten contacted NBC to ask for comment. Williams spoke on the record to Tritten without his bosses knowing, according to the story -- a sign of how his relationships with Turness and Fili-Krushel were lacking. Turness learned about the apparent exaggerations around 3:30 p.m., three hours before "Nightly News" broadcast time. She then tried to work with Williams on the wording of an apology that he read on the air. But the statement seemed to only exacerbate his problems. "Burke learned of things only after the apology broadcast," Burrough writes. The surfacing of a David Letterman clip from 2013, where Williams told another misleading version of the story, made clear to the executives that the discrepancies were very serious. The next day, Burke began holding crisis meetings. But Burrough quotes NBC sources who say Williams had a hard time acknowledging the scope of the situation, even as questions began coming up about other past stories he had covered. 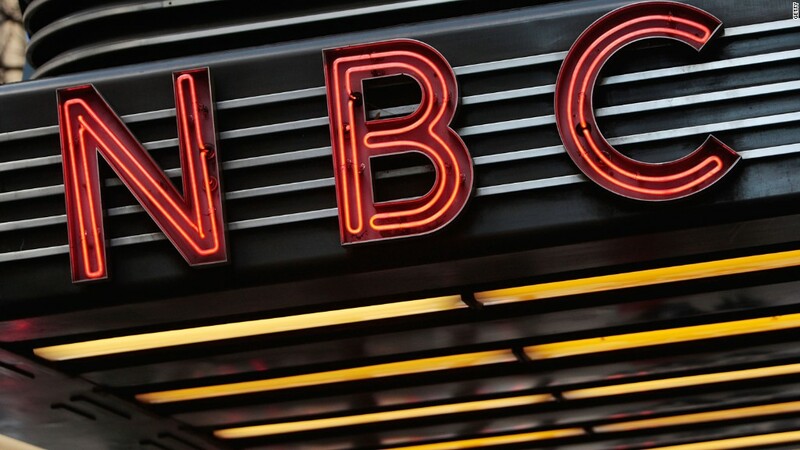 Furthermore, the story affirms other recent reports about chilliness between Williams and his "Nightly News" predecessor Tom Brokaw, who remains an important voice inside NBC. Burrough quotes a friend of Brokaw's, who says, "Tom will never say this for the record, but I've talked to him about this, and I can tell you for a fact Tom is livid about this. Tom didn't push Brian out, but he didn't try to save him, either." The story also quotes a source who implies that Williams believes Brokaw is to blame for his sudden downfall: "I talked to Brian about this, and I'll never forget what he said at the end. He said, 'Chalk one up for Brokaw.' "